Pie is like the latest iPhone...everyone wants in on it no matter how great it really is. Pie is like good sushi...we're happy to have it if someone else makes it (especially if someone else serves it to you while you sit and wait!). 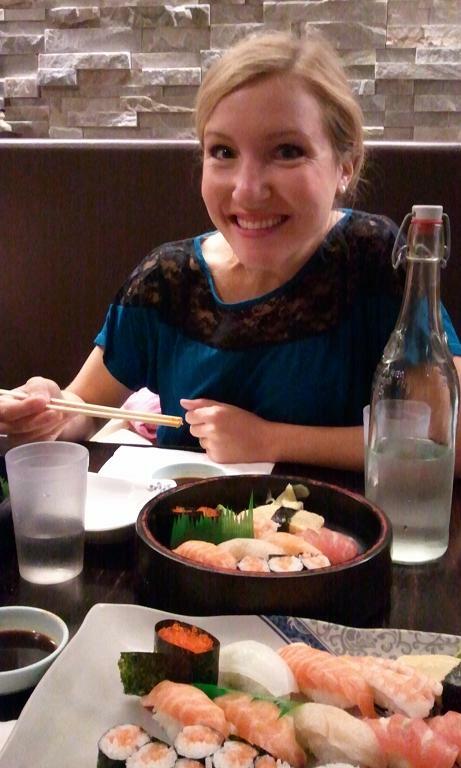 That's me with sushi...I love it. I really actually adore it. Yeah, I've made it at home - and yeah, I'll never do it again. It's just not worth the effort and it's just not as good. I'll leave that up to the Japanese with their fancy knife skills, precision and dedication to raw fish - I admire their focus! Seriously, how excited do I look in this photo? I feel like the veins in my neck could probably blow up. People just love when you make them a pie. They know you love them when you bring one over. If you arrive at a Thanksgiving party with a pie in hand this year, your host might serve you the extra crispy, sticky, caramel brown roast potatoes scraped from the bottom of the pan. That's her way of saying, "I love you too man!" 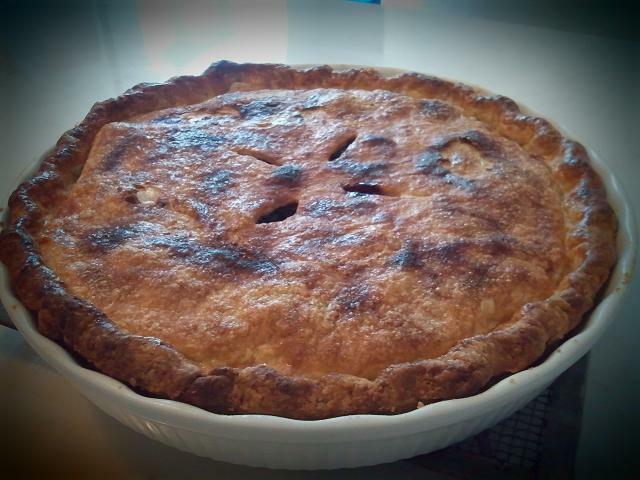 You can make your own pie at home and I promise it won't be that hard. I can definitely swear it will be easier than making your own sushi. 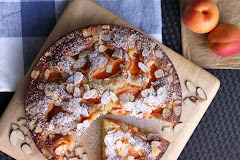 There's no need to fear the flaky fruit bowl because, aside from creme brulee, it's the only dessert where a bit of burning is actually desired. Did you hear me? I just told you that I want you to burn your pie a tiny little bit! Here we GO. I bring you a pie-making photo show brought to you by my camera phone. It all starts with butter. Plenty of really cold butter. 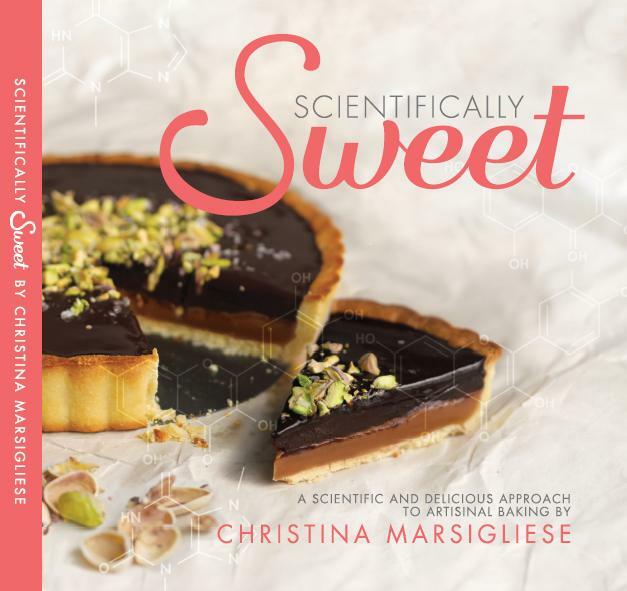 In my book, Scientifically Sweet, I go into detail about a great technique I use to incorporate the butter into the flour to make an exceptionally tender and flaky crust, but today we'll just keep it super simple. This is "pie-making lite version". 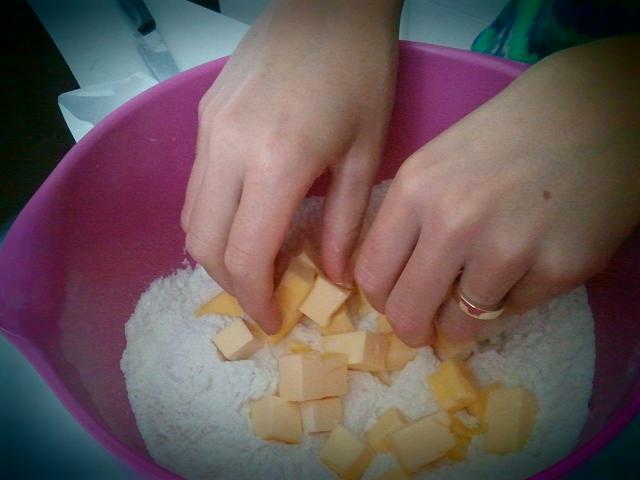 Here's the part where we "rub" the butter into the flour. Don't read too much into this because it means just that...RUB the butter into the flour between your forefinger and thumbs to smash the hard butter chunks and flatten them out. This makes flakes!... not the popular British chocolate bars, or a bunch of blonde chicks in mini skirts twirling bubble gum around their fingers...but separated layers of pastry dough in your baked crust! Incorporate some of the butter well so that there is no dusty flour left in the bowl, but leave some in larger pieces, about the size of green peas. Rubbing the butter into the flour will coat the gluten-forming proteins with fat (like a moisture barrier) and prevent the crust from becoming tough. Too much water in pie dough = gluten formation = toughness. Dribble cold liquid into the dough until it comes together to form a mass but does not form a smooth ball. 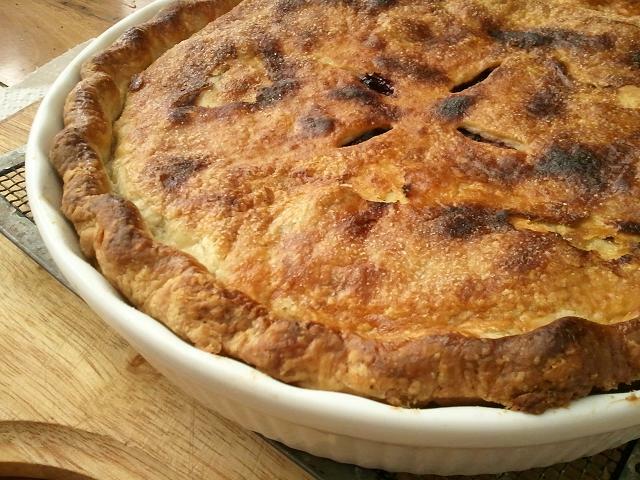 Pie dough knows no smoothness because that means it is over-worked, tired and not-so-flaky. Wrap it up in plastic wrap and let it chill in the fridge for at least 2 hours to firm up the fat and hydrate the flour. After a little R&R, the dough is ready for rolling. Roll it out to about 1/8-inch thickness on a lightly floured work surface. 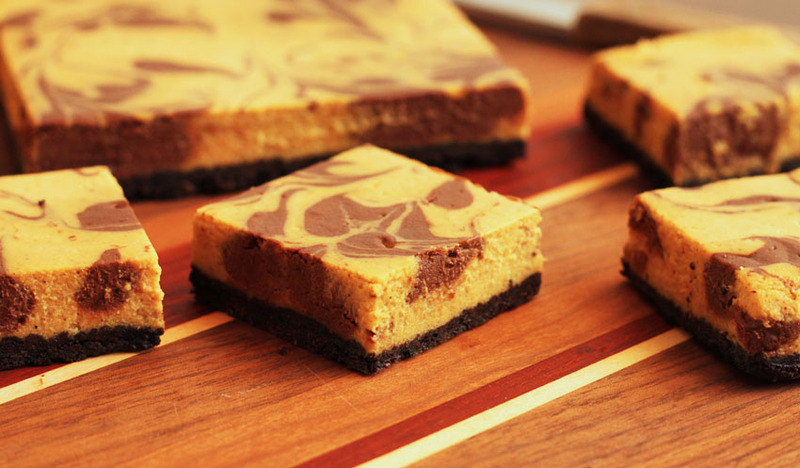 Marble countertops are great for this because they stay nice and cool. 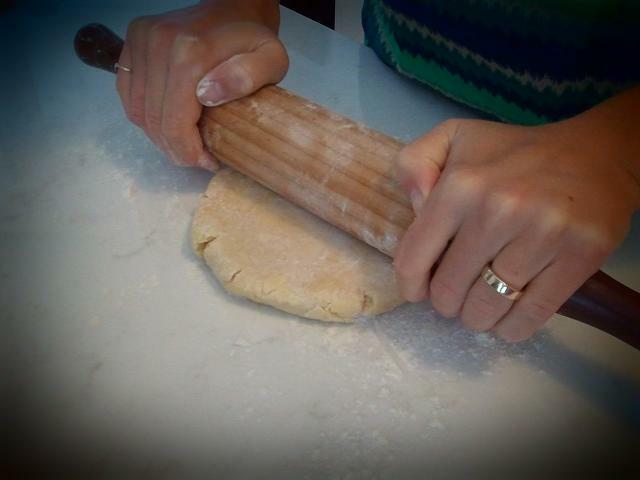 Keep moving and rotating the dough as you roll it to prevent it from sticking and maintain its circular shape. See those streaks of butter marbled throughout the dough? That's your golden ticket! That's telling you, "You made me just right. I'm going to be so dang flaky that you might not even be able to handle me, and you've got yourself a one-way first-class ticket straight to PrettyPieTown". That's a quote right from the pages of this pie dough. Fit the dough into your pie dish and press it into the corners and up the sides. 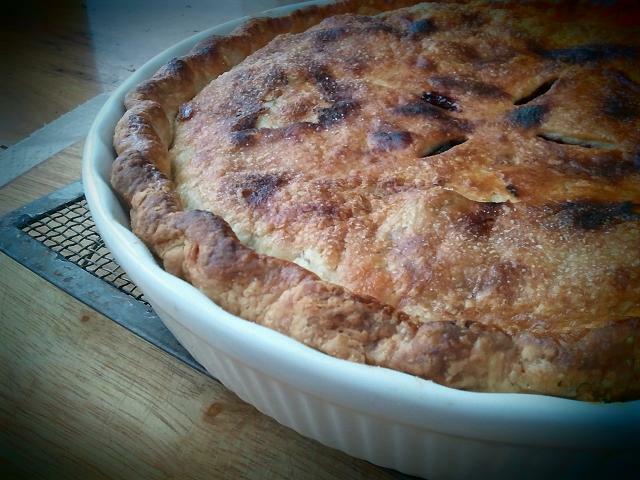 I used a 10-inch round fluted tart/quiche dish. It worked just great. 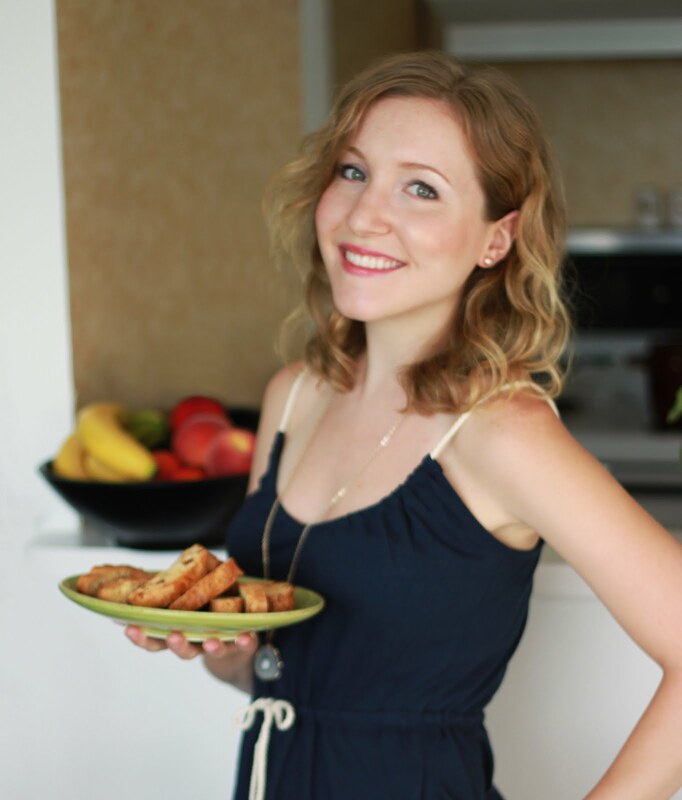 Side dish: see that ring on my right-hand pinky? My mom gave that to me when I was 14. My Dad gave it to her when they were dating. In 2003, I lost the original ring on a beach somewhere in Florida and I cried a lot. In 2007 my mom replaced it when I graduated from Uni and it means a lot to me. I never take it off. Mom realized how hard it is to find a tiny yellow gold pinky ring with a heart on it...who knew? Love you mamacita! 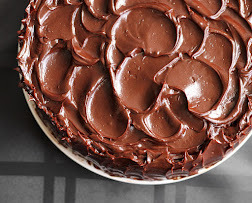 Knock this in the fridge to firm up while you get the filling rockin'. We have apples. Pink Ladies to be exact. 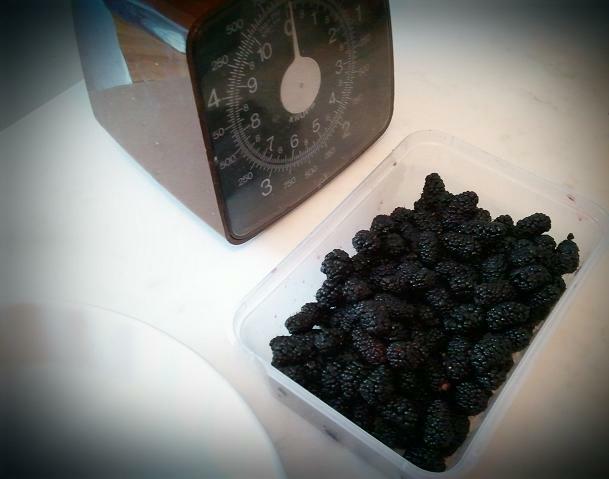 We have mulberries. I picked these babies from a tree in the park behind my house...My fingers were purple for a good 2 hours. Let's mix the fruit together. They were meant to be. Now to sweeten, thicken and spice it up we have sugar, corn starch, flour, cinnamon and clove. Mix all of this up with a fork to combine. This is a pre-mix and helps to evenly distribute the thickening agents so that they don't clump up when they contact the moisture from the berries. 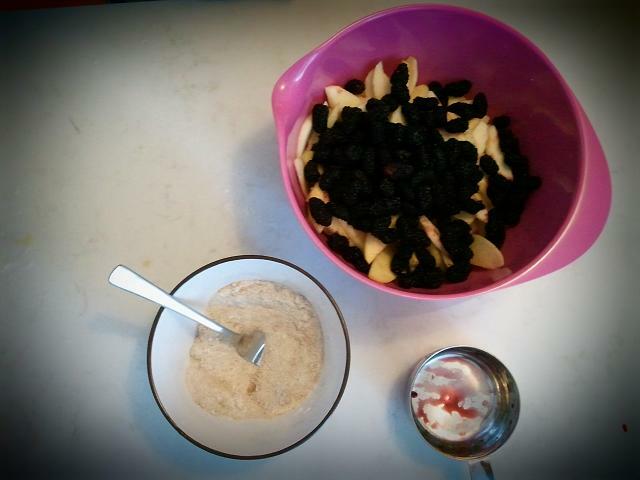 Gently fold the pre-mix into the fruit, being careful not to totally mash up the delicate berries. Roll out the top crust and lay it over the filled pie. 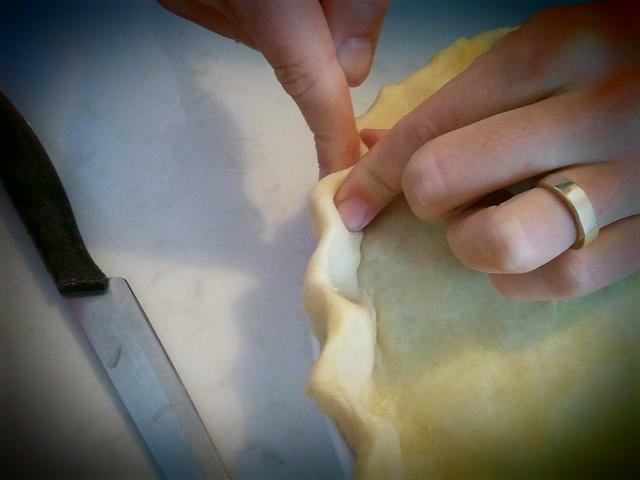 Press the edges together to seal and do some crimping with your fingers to make it cute and pie-perfect. Vents! Don't forget the vents. 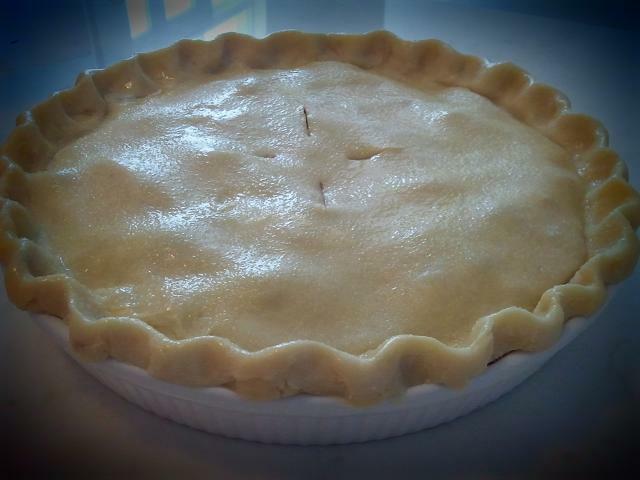 Make a few incisions in the center of the pie to let steam escape as the filling boils and bubbles away. 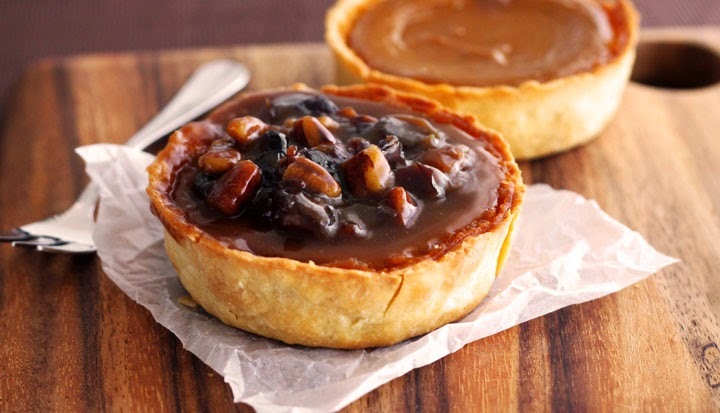 This prevents your pie from puffing up and having a giant gap between the top crust and the filling. PS. I first called the 'incisions' slits before I realized that I do not like the sound of that word. Slits... weird. Brush the top crust with a well beaten egg and sprinkle with sugar. 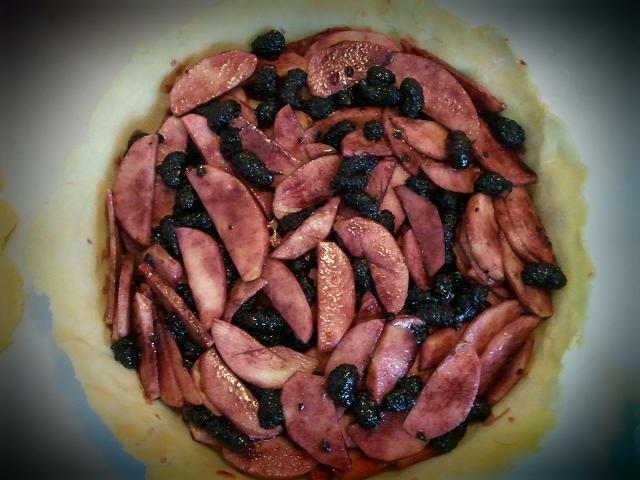 Bake in a super hot oven (> 400 degrees F) to set that crust and seal in those fruit juices! 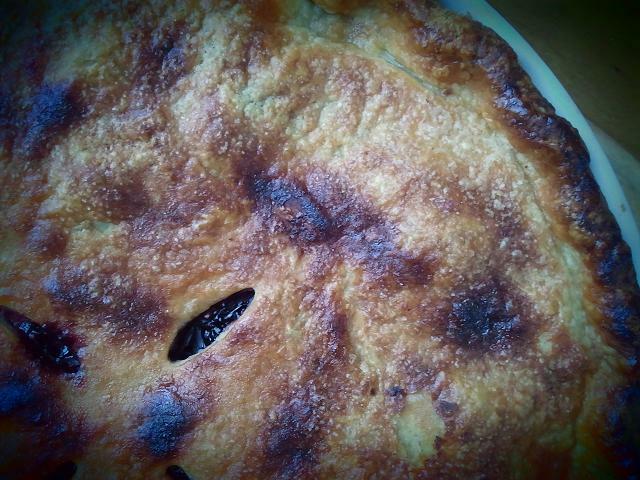 Make sure you have burny bits because that's the sign of a good pie. 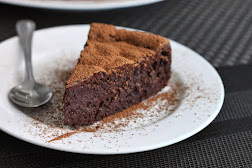 The one dessert where black patches are very welcomed - Dear Pie, we love you for being so forgiving sometimes. Bubbly crust means you're in for a treat. It's flaky, its buttery and it will melt your heart just a little bit. 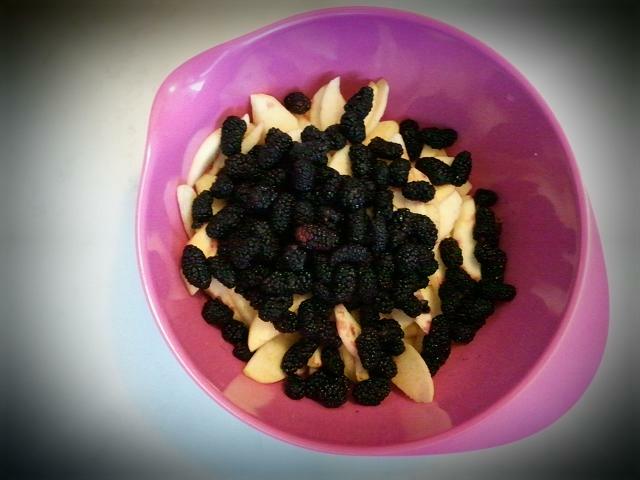 This combo of apples and mulberries is incredible. 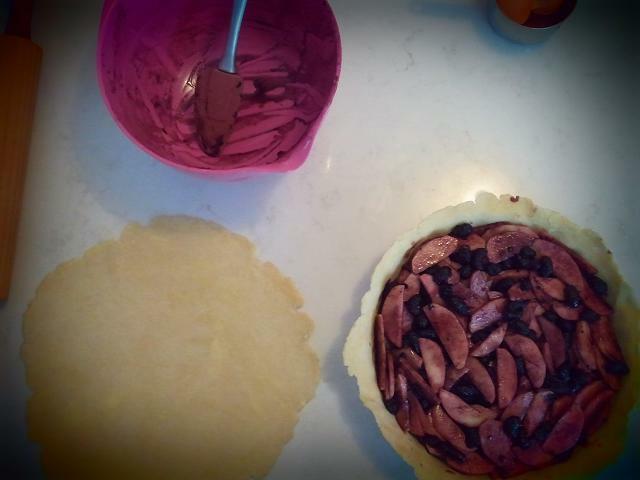 The whole filling gets dyed purpley blue, to the point where you forget that it's actually an apple pie too. It tastes almost like blueberries and I wish there were leftovers to shove in my face right now. Unfortunately, pie leftovers are a rarity in most cases. Oh...Vanilla ice cream? Uh...ya. Do it. To make the pie dough, first place the butter in the freezer for 15 minutes. 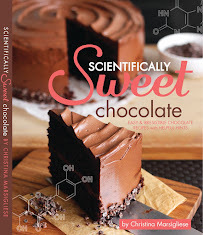 In a large bowl, whisk together flour, sugar and salt. Add the butter and rub it into the flour mixture rapidly using your fingertips until it resembles coarse crumbs with some pieces the size of green peas. Place the bowl in the freezer for 10 minutes to allow the fat to firm up. 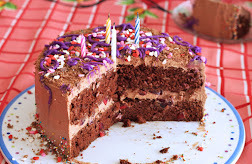 Gradually sprinkle water over the chilled shaggy dough, one tablespoon at a time, while gently tossing with a fork until it is moistened and it barely clings together in clumps. The dough will hold together when squeezed or pressed when it is ready, but it should not form a ball. 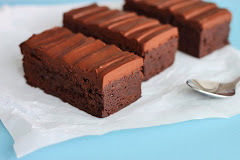 Turn dough out onto a work surface and bring it together with your hands slightly cupped, turning it frequently and pressing firmly to hold in loose bits until it is cohesive and forms a mass, but is not completely smooth. Fold the dough over itself one or two times to bring it together if necessary. Separate slightly more than one-third of the dough (for the top crust) and press each portion firmly to form a roughly-shaped ball. Flatten each one into a disk, wrap well with plastic wrap and refrigerate at least 2 hours or overnight. 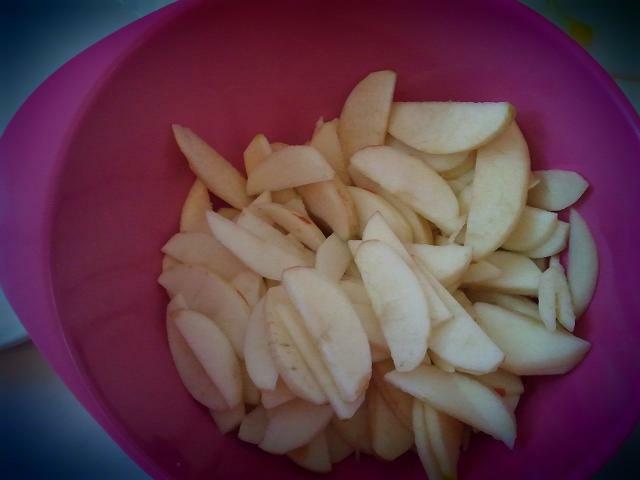 Place sliced apples and berries into a large bowl. 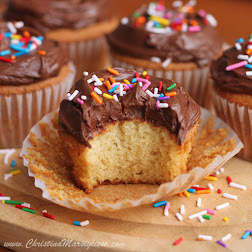 Whisk together granulated sugar, corn starch, flour and spices until no lumps remain and set aside. You will fold this together with the peaches immediately before filling the pie. Let dough sit at room temperature for about 20 minutes before working with it. On a lightly floured work surface, roll the larger half of dough into a 14-inch circle, rotating the dough and adding more flour as necessary to prevent sticking. 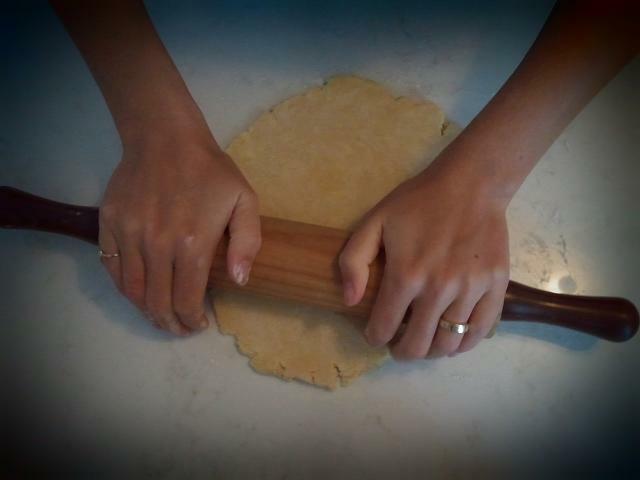 Carefully drape the dough over a shallow fluted 10-inch round pie/keish dish, allowing the excess to hang over. Gently press it into the bottom edges and up the sides of the dish. Refrigerate until firm, about 15 minutes, while making the filling and rolling out the top crust. 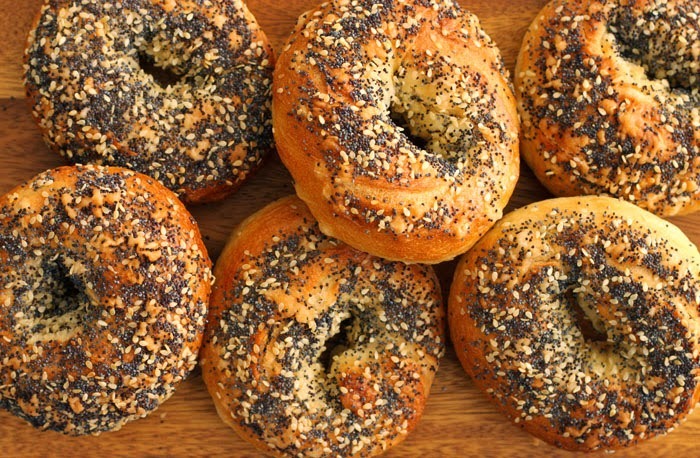 This allows the rolled layers of gluten and fat to relax, creating a more flaky crust. 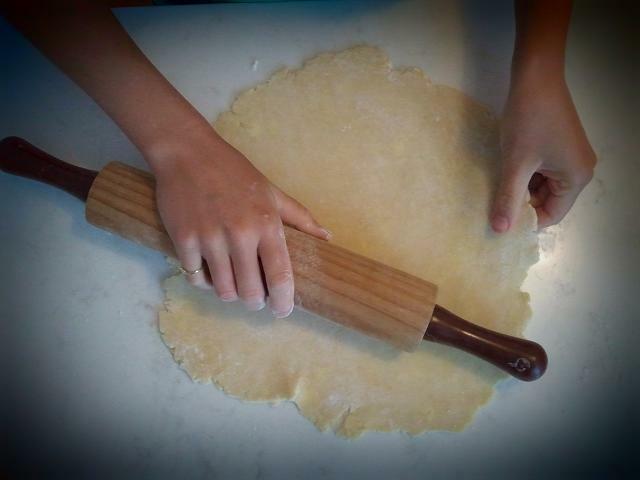 Once the bottom crust is chilled, begin to roll out the other portion of dough so that it is 1/8-inch thickness. 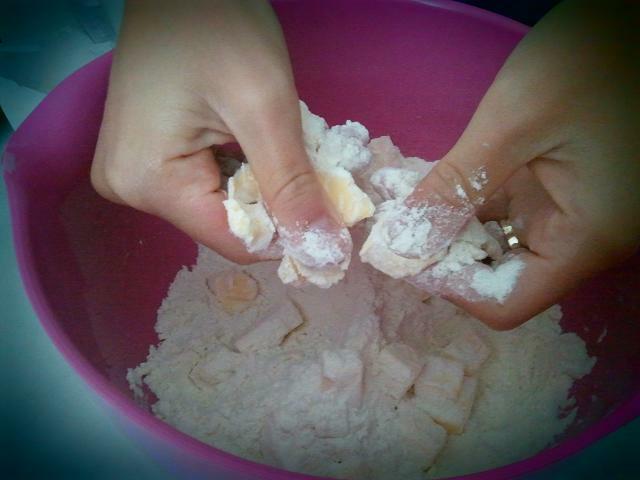 Add sugar mixture to the bowl with the fruit and fold them together until evenly blended. Spoon the mixture into chilled pie crust, tucking it in gently to fill all the spaces (this will prevent your pie from shrinking too much once it cools). 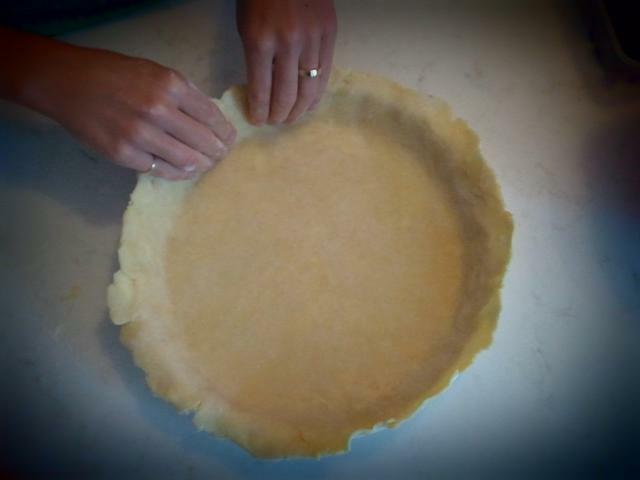 Brush the edges of the bottom crust with beaten egg before carefully draping the top crust over the filled pie. Press edges of top crust against bottom crust edges to seal. Trim off excess dough leaving ½-inch overhang and then tuck it in by rolling it underneath itself (the top and bottom crust together) so that it sits against the edge of the pie dish. This ensures a tight seal on your pie. Crimp edges decoratively with your fingers. Place the pie in the freezer for 10 minutes. Lightly brush the top and edges of the chilled pie with beaten egg and sprinkle it all over with sugar. Place pie on baking sheet and bake on bottom rack of oven for 20 minutes. Reduce oven temperature to 350°F and bake until juices have been bubbling for at least 5 minutes, about 40 minutes longer.